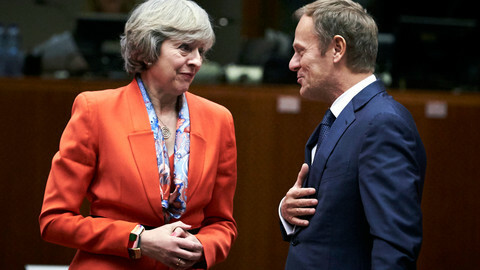 The UK has agreed to conduct Brexit negotiations in two phases, as top negotiators met for the first time in Brussels on Monday (19 June) to launch talks on the UK exiting the EU. Brexit minister David Davis and the EU’s negotiator Michel Barnier held their first meeting in the European Commission building, while their teams discussed organisational issues. 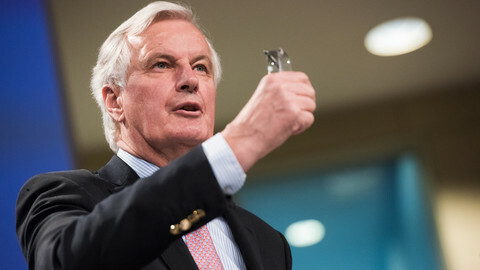 "We agreed on dates, organisation, and we agreed on priorities for the negotiations,” Barnier said at a joint press conference with Davis. As required by the EU, negotiations will start with the divorce itself, and when “sufficient progress” has been achieved, they will move onto discussing the future relationship between the bloc and the UK. “We must lift the uncertainty caused by Brexit, we want to make sure that the withdrawal of the UK happens in an orderly manner, then in a second step we will scope our future partnership,” the French politician said. 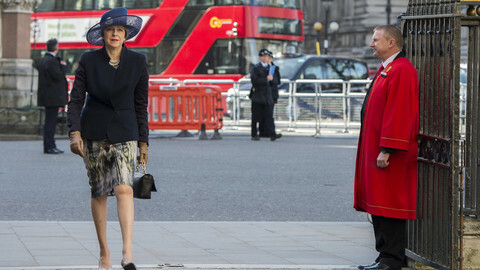 Until now, British prime minister Theresa May had insisted that both discussions should be held in parallel. Davis denied any retreat by his government, noting that “both sets of dialogue will continue once the EU 27 will agree that divorce talks have reached “sufficient progress”. He insisted that his position was "completely consistent with the long-standing position" of his government, and that what matters is how the negotiation will end, not how it started. “Nothing is agreed until everything is agreed,” he said, using a line also expressed by the EU. The UK has also agreed to negotiate on the basis of the three priorities set up by the EU: 1) the rights of EU citizens living in the UK and vice versa, 2) the financial settlement and 3) the border between Northern Ireland and the Republic of Ireland. 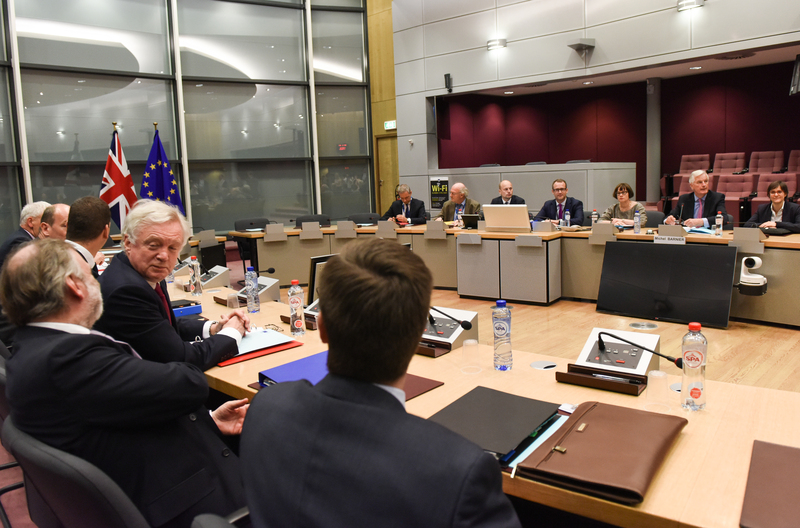 Barnier and Davis will have a week of negotiations each month, while the other three weeks will be used for preparations and working out the details. 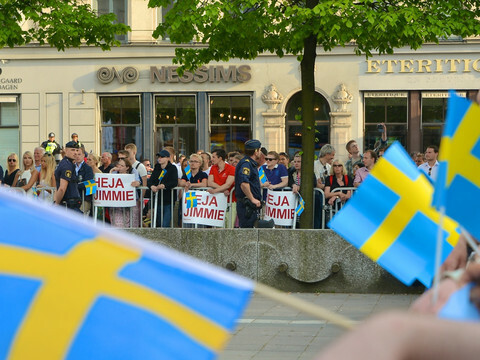 The first round of talks will start on 17 July. The last round, according to the current schedule, will start on 9 October, 10 days before the EU summit where leaders are expected to assess the progress made. 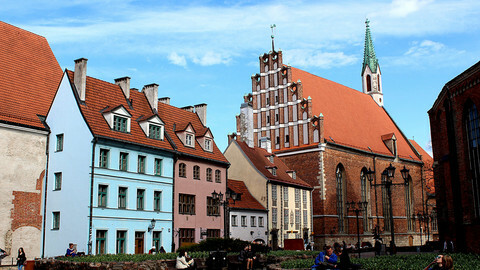 Three working groups have been set up, on citizens’ rights, the financial settlement, and other “separation” issues. They will be tasked with exploring and testing options that will then be submitted to the top negotiators for their political blessings. London agreed that "English and French will be used as working language". “We will discuss the issues together, tackle difficulties, lift obstacles,” Barnier said, adding that for the EU, it will be "citizens first". Davis indicated the UK will draft a "detailed paper" on citizens’ rights and present it next Monday, after May informs her fellow heads of state at this week's EU summit. In addition to the working groups, a "dialogue" has been established to deal with the Irish border issue, under the authority of Barnier and Davis' right hands, Sabine Weyand and Olly Robbins. Both negotiators insisted that the issue was sensitive and would be dealt with at the "highest level". "The protection of the Good Friday agreement and the maintenance of the Common Travel Area are the most urgent issues to discuss," said Barnier, adding that "concrete and imaginative" solutions will be required to control goods and services without creating a hard border. Barnier and Davis took care in displaying a positive image for the start of the first exit talks in EU history. They first exchanged gifts - a mountain walking stick from Barnier's Savoy region in the French Alps for Davis, a book on Annapurna climbing for Barnier. 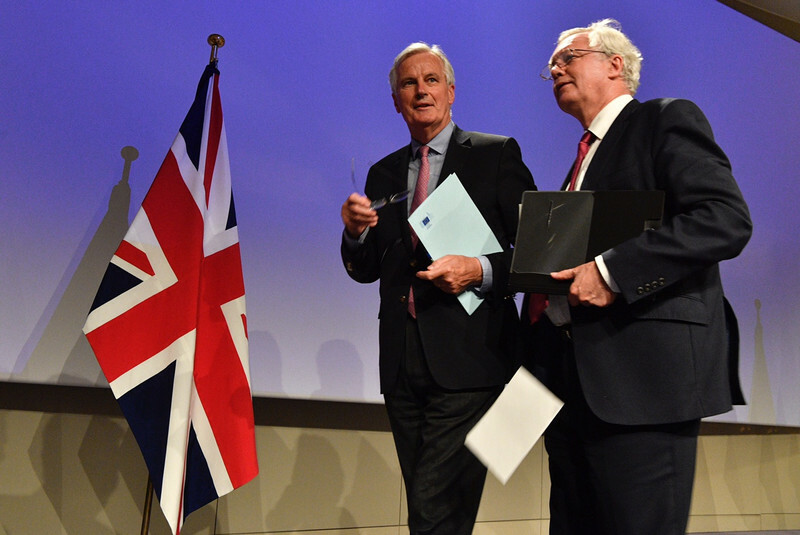 At their press conference, Barnier stressed that the EU would not treat the UK with hostility, while Davis stressed that he wanted to be constructive. “A fair deal is possible, and far better than no deal … We will work all the time with the UK, and never against the UK,” Barnier said. "Both of us want to achieve the best possible outcome and the strongest possible partnership," Davis said. The difficulty, and potential acrimony, of the Brexit process could however be felt. After the Conservatives lost their majority in the House of Commons in the 8 June general election, prompting calls for May to soften her line on Brexit, Davis made clear on Monday that the UK would leave the EU, but also the single market and the custom unions - the so-called hard Brexit. "Because membership of the single market requires the four freedoms [of people, goods, services and capital] to be abided, and [because] we need to bring back to Britain control of our laws, control of our borders, we'll be leaving the single market," he said. He added that the UK would seek to set up a free trade arrangement and a custom agreement. Barnier, in turn, said that he would seek "no concessions" because there was none to be found. "The UK is leaving the EU, not the contrary. Every one must assume the consequences, they are massive," he said. But in the end, Barnier and Davis, who Barnier recalled they had worked on the Amsterdam treaty together as EU affairs ministers in the 1990s, found themselves in a typical Franco-British understanding - agreeing to disagree. Anticipating the challenges in the months ahead, both referenced fellow countrymen who defended their visions. Barnier quoted Jean Monnet, one of the EU founding fathers: "I'm neither optimistic nor pessimistic, I am determined." Quoting Winston Churchill, Davis said in response: "A pessimist sees the difficulty in every opportunity; an optimist sees the opportunity in every difficulty". [Updated] British elections produce a hung parliament, with Conservatives failing to secure majority, while still being the largest party in the House of Commons. Donald Tusk quoted John Lennon to say he "dreams" that the UK could change its mind on Brexit. But not every prime minister agreed with that assessment.